Mortimedia produces high quality web content for specific product niches and currently publishes a small portfolio of consumer focused websites in the home and garden retail sector. The focus is on helpful and unique content and human edited product selection enabling consumers to make the perfect buying decision. These websites were established in 2010. Rather than use standard blog templates, our sites have been hand-coded from scratch with custom scripts to help us easily and quickly maintain and update the sites. All product information is edited by hand so that visitors get consistent, high quality product information. This information is complemented by up-to-date prices from network feeds which are checked multiple times a day. Major redesigns in 2015 and 2018 introduced updated mobile friendly designs, lots of new features and improved back-end administration. We have designed our content sites with a very clean and simple interface to maximise the user experience and aid conversion. A comprehensive site navigation column is shown on every page and includes links to products organised by price, type, retailer and any other suitable classification for that product type. 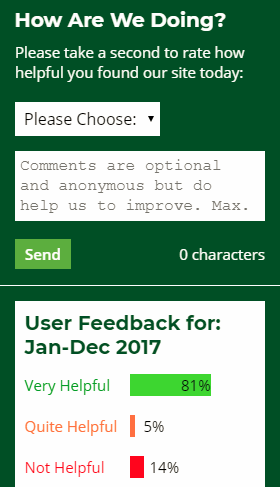 All sites have an anonymous user feedback form and we receive overwhelmingly positive feedback. In the interests of transparency, we show the feedback results on the sites. Some of the user suggestions have been incorporated into regular site updates. All of our sites feature unique content, with a rolling news and reviews update on the homepage, and useful articles that are related to the main product niche. A comprehensive buyers guide is also included on every site that helps users cut through some of the jargon and get pointers on what to look out for. We rely only on SEO for traffic for all our sites at the moment. For more information, or to discuss performance marketing opportunities, please see our contact page.